Get some historical perspective at Sri Kalahasteeswara Swami Temple and Sri Padmavathi Ammavari Temple. 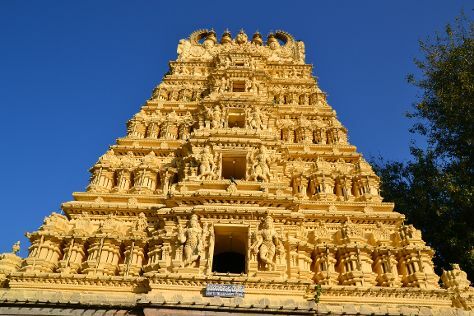 Change things up with a short trip to Sri Vekateswara Swamy Temple in Tirumala (about 48 minutes away). Next up on the itinerary: take in the spiritual surroundings of Sri Govindarajaswami Temple, steep yourself in history at Tirumala Temple, and admire the natural beauty at TTD Gardens. For photos, more things to do, traveler tips, and other tourist information, read our Tirupati trip planner . Wrap up your sightseeing on the 11th (Tue) early enough to travel back home.